Before I met Ward I had never said the word “fart”. I mean never-ever. I couldn’t even stand hearing the word “fart.” I also hated the expression “Who cut the cheese?” My mom used the expression “passing gas.” It was tolerable but my thought was “Why even mention it?” I eventual started using the expression “breaking wind” which I think I read in a Louis L’Amour western. My brother used to somehow save up his farts until my sister and I were around and then let it rip. Big, stinky eye-watering farts. Really? How is that possible? The living room, which smelled like nothing, now smells like death. How to pretend that isn’t happening? I am not sure I actually farted until I was about twenty. It slipped out and I was mortified – and I was alone. It was a minor but significant victory on his part to get me to say fart. I still don’t like farts though or poop or pee or snot. Or vomit. Over the last several months our house has been a documentary version of John Waters Pink Flamingos (1972)* with farts, poop, pee, snot and vomit of varying degrees. Late winter a swift but violent flu swept through our household resulting in me being vomited on three times; Thorin’s potty training, means pee-and poop-in-the pants next to me on the couch; Coco-the-anxiety-induced-incontinent-lap-dog farts non-stop, has ghastly halitosis and given the opportunity eats poop; Walt-the-dog licks the floor non-stop and the dishes I used to keep on the low shelf; and, before we knew Thorin had a dairy intolerance we all lived with snot everywhere. Today, after wrestling outside with Coco over a freshly laid turd I found Thorin in the bathroom washing his hair in the toilet. He had peed in it by himself beforehand though. Sort of a lose-win kind of situation. Sounds like my dad’s advice oh, so, many years ago. 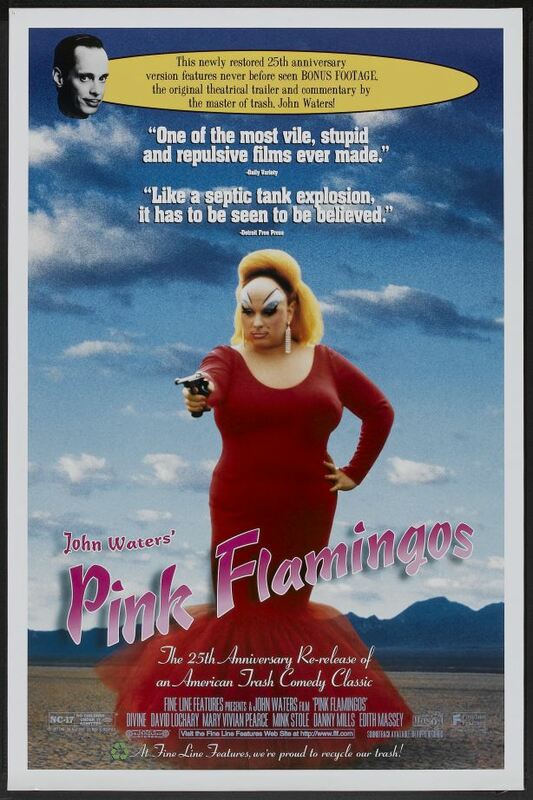 * Pink Flamingos, starring Divine, follows the antics of competitors for the ‘the filthiest people alive’ contest. The bar is set high with plating licking and feces eating. Yay! So you’ve been there I take it. We are knee deep in the potty training stage. The poop, pee, fart thing just got all too real at our house. Too real is a good way to put it! 22 +years of being your friend and I never knew you had such an aversion to all those bodily functions that keep us humble. Well, you did only have 1 brother. I had 4 and if I had reacted to their bathroom humor I would have been teased and tormented ’til eternity! I actually forgot about an incident from this past Tuesday about 3:00 in the a.m. of explosive diarrhea. Thorin’s not mine. He woke me by wandering around the house yelling, “Poop!” over and over again. The only time I had seen anything like that was in one of the Nightmare on Elm Street movies. The Loneliest Farter. That’s beautiful. Oh yay – I can’t WAIT to get into potty training! NOT! My four and a half year old boy is (and probably has been) raring to go but I’m totally dreading it. I don’t live in the US anymore and Potty U isn’t an option here. I DO have good help at the ready, but I think ready is really a word I’m not friends with just yet. Good luck! It really is disgusting.